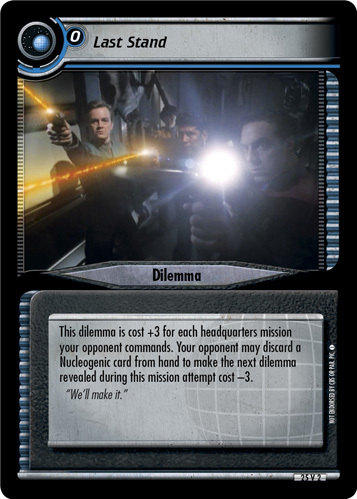 Unless you have Programming, 2 Security, and Transporters or a Hologram and Cunning>30, all your personnel are stopped and this dilemma is placed in your core. 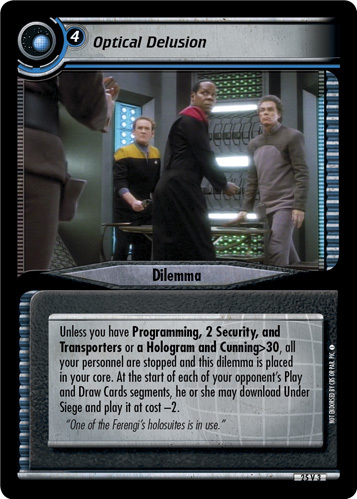 At the start of each of your opponent's Play and Draw Cards segments, he or she may download Under Siege and play it at cost -2. 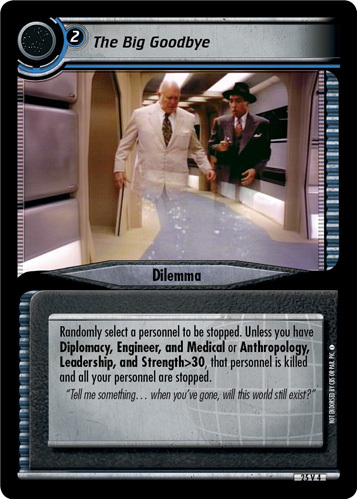 "One of the Ferengi's holosuites is in use."